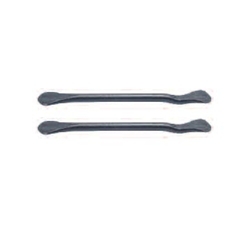 Tire Iron for Small Tires Length 9" 2 pc. Carded Set Ken Tool T9C / BOWES KT T9C. Pro tire changing tools for small tires. Ideal for mounting and demounting motorcycle, ATV, lawn tractor, golf cart, and small tires by hand. Rounded ends will not pinch tube. Patented.